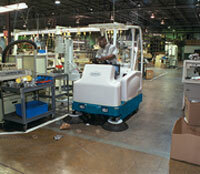 This large Sweeper is ideal for larger warehouses and workshops. It can also be used for light outdoor applications. The machine is also fitted with a high-dump facility allowing you to tip waste directly into a skip.